I got exciting news this week! Scholastic has bought a bunch of copies of The Body in the Woods, the first in my new series. 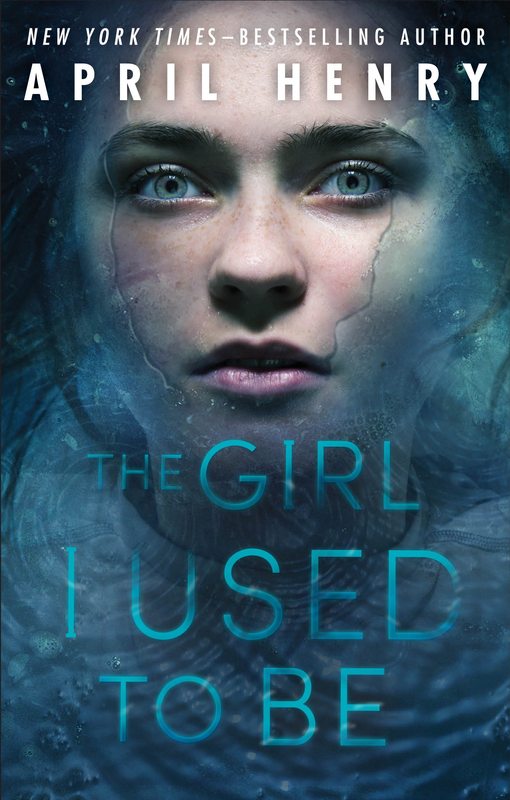 Girl, Stolen and The Girl Who Was Supposed to Die have been Scholastic bestsellers, so I'm hoping this book meets the same fate. I got the idea in April 2012 when a friend told us her teen was a volunteer with Multnomah County Sheriff's Office Search and Rescue. Our local SAR does what all SARSs do—find people lost in the wilderness—but ours is unique in two respects. First, it is an all teen-led organization. Adults can volunteer, but they can't be elected to leadership positions. Second, about 30% of what these teens do is search for evidence at crime scenes. Evidence they have found has been credited with helping solve dozens of murders. The more I learned, the more I was sure I had found what I had long sought: a realistic hook for a teen mystery series. I interviewed the girl who was a volunteer, and she showed me all the things you have to carry in your pack and on your person when you are called out for SAR. After signing a criminal background check, I started going to meetings, including an orientation meeting, where I took notes and talked to people. But the best thing I did was to make the acquintance of Jake K., a guy in his early 20s who had volunteered for SAR since he was a teen. Like many SAR volunteers, SAR is Jake's passion. But he's also willing to answer a million questions by email. And slowly I found my way to a story. Actually I found my way to ideas for about a dozen stories, but i picked one and worked on that. This last weekend, I turned in the final draft of the next book in the series. 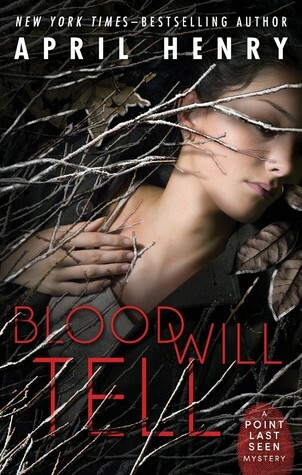 The working title was Blood Will Tell. The amazing thing is I think the publisher kept it. I think the last time that happened was 10 years ago. In Blood Will Tell, Nick, Alexis and Ruby are well on their way to being full-fledged members of Portland’s Search and Rescue—and to being friends. When a woman is found stabbed to death, their team is called out to search for evidence. Suspicion begins to fall on a guy who lives nearbyr, an awkward kid who collects knives, loves first-person shooter video games, and doodles violent scenes in his school notebooks: Nick Walker. As the evidence against their friend mounts, Alexis and Ruby must decide where their loyalties lie—even if it puts them in danger. Kirkus: "A fast-moving and well-constructed mystery... A quick, thrilling read that doesn’t skimp on characterization." Publishers Weekly: "The author’s expertise at plotting a murder mystery and knowledge of police procedure are evident." School Library Journal: "A pervading sense of threat and danger." VOYA: "Henry has created not only a gripping mystery, but rich and detailed characters as well." “Yes?” Her heart sped up. What was it this time? The possibilities were endless. None of them good. Nick Walker’s thumbs were poised over the virtual keyboard of the phone he held on his lap. He was pretending to listen to Mr. Dill, his English teacher, while he was really texting Sasha Madigan, trying this angle and that to persuade her to study with him tonight. Which he hoped would mean lots of copying (on his part) and lots of kissing (on both their parts). Sasha but a message from his Portland Search and Rescue team leader. Search in Forest Park. Missing man. Meet time 1500. His first SAR call-out! He jumped to his feet. “Nick?” Mr. Dill turned and looked at him over the top of his glasses. “What is it?” Mr. Dill had a lot of rules. He had already complained about Nick’s habit of drawing—only Mr. Dill called it doodling—in class. “Um, okay,” Mr. Dill said uncertainly. Someone in Wilson High’s administration had had to sign off on Nick being allowed to join searches during the school day, but maybe the information hadn’t filtered down to his teachers. No matter. Nick was already out the door. He just hoped someone from class would tell Sasha. A text wouldn’t do it justice. Nick Walker, called out on a lifesaving mission. Ruby McClure felt her phone buzz in her jeans pocket. She waited until the end of chemistry to check it. Fifteen hundred made so much more sense than three P.M. Ruby preferred military time. No questions about whether “nine” meant morning or night. No having to rely on context. No one getting hung up on whether 1200 had an A.M. or a P.M. after it, which was a ridiculous idea because A.M. meant “ante meridiem” and P.M. meant “post meridiem” and meridiem was Latin for “midday,” and twelve noon was midday itself. It was 1357 now. Which meant she had an hour to get home, change into hiking clothes, pick up her SAR backpack, and meet the rest of the team at the Portland sheriff’s office. Ruby pulled out the keys to her car as she walked to the office to sign herself out. On the way, her phone buzzed again. It was Nick, asking for a ride. Nice! I hope I'll see this in this year's book fair at my daughter's school.